Your Gums: What Are Deep Pockets? When your dentist tells you that you have deep pockets, it’s usually not a good thing. What your dentist is likely referring to are your gums. The “pocket” of your gums explains the area where your gum line meets your teeth. If these gum pockets are greater than 3mm deep, this is considered a “deep pocket”, and it can indicate bone loss. Gum disease is the leading cause of tooth loss. It may not directly harm your teeth, but it causes the bone around your teeth to be lost. This disrupts your tooth foundation and support. Unfortunately, bone loss due to gum disease is irreversible. That is why it is extra important that you never ignore the early signs of gum disease and that you see your dentist regularly. If you do have early stages of gum disease, what can you do? Invest in periodontal therapy. This can boost the effectiveness of your gum treatment and result in shorter recovery time. Most importantly, periodontal therapy can save your tooth! Your dentist keeps detailed monitoring on your gum health each time you come in for your regular checkup. Each patient has a periodontal chart that records the depth of your gum pockets at every check-up. 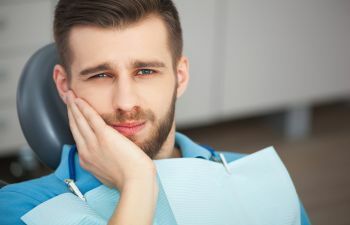 This helps your dentist diagnose signs of progression long before you may realize it. Save your real pockets and let your dentist check your gum pockets sooner rather than later.